The technique called Spatial Augmented Reality – better known as video mapping – is constantly growing. Several fields of application have tested the potential and particularity of use. This contribution aims to discuss the well-known potential of this medium in the urban redevelopment through forms of “augmented architecture” and enhancement in the museum in the case of “augmented archeology” and to expose some of the techniques used to map generic surfaces in relation to their complexity and size. This allows the construction of a workflow that transforms this raw data into useful contents to enhance the asset itself through multimedia installation and digital storytelling, taking care not to replace the asset itself. In this way the user is not placed in front of the object in a detached manner, but is catapulted and projected into it, as if he were in a parallel reality. In this case video mapping becomes a medium through which the museum experience is integrated and completed, without going beyond the real world but simply making discernment easier and emphatic. 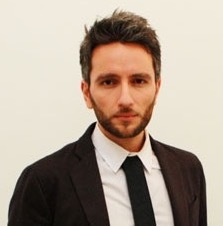 Donato Maniello, Architect, Ph.D. in “Materials and Structures for Architecture” and adjunct Professor of “Digital Application for the Visual Arts” at the Academy of Fine Arts in Naples. He focuses his research on the field of photography, investigating the relationships that exist between architecture and art. In 2010 he founded Studio Glowarp (www.glowarp.com), a multimedia design Studio specialising in application of Spatial Augmented Reality and technologies in heritage context. The experience gained over the years in the field of Spatial Augmented Reality in public spaces and video mapping applied to the most varied types of surfaces, both indoor and outdoor, has allowed to focus its research and applications in the museum and/or for the enhancement of artistic and cultural assets. Currently the Studio Glowarp is involved in several museum research projects and institutional collaborations as well as in scientific publications on these issues.